Real Estate, Zoning Law and Land Use are of immeasurable importance in the New York Area. Understanding the detailed zoning and planning guidelines, as well as the laws governing commercial and private real estate transactions while considering the numerous municipalities in New York which have zoning and land use laws (villages, towns, counties, special districts and cities) plus the State and Federal guidelines takes an ongoing fluent knowledge of the laws involved. The attorneys at Reisman Peirez Reisman & Capobianco appear regularly before numerous municipalities with respect to land use and zoning issues. With experience in prosecuting and defending Article 78 Proceedings which occasionally stem from decisions impacting land use, our Firm has the capability to protect our clients’ interests. 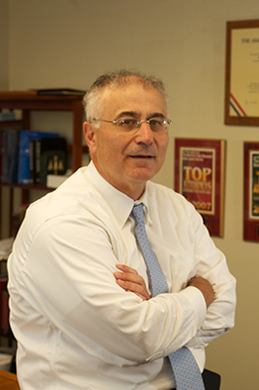 Founding partner Jerome Reisman offers exceptional insight into real estate law and zoning law with experience as the Chair of the Board of Zoning Appeals for a local municipality. Brian Seltzer, of Counsel to the Firm, is an author and lecturer on the application of zoning law and founding partner David H. Peirez serves as the Chairman of the NYS Comptroller’s Real Estate Advisory Committee, overseeing the investment of billions of dollars of State retirement funds in real estate ventures around the globe. Reisman Peirez Reisman & Capobianco represents clients in the negotiation or prosecution and defense of environmental matters with the EPA, New York State Department of Environmental Conservation and local health departments. Our experience includes Federal and State actions involving Superfund sites, and we take the lead in negotiating consent orders with the Federal or State environmental agencies. We are pioneers in the hazardous waste regulatory law, having entered this complex legal area in 1982, shortly after the key Federal statutory laws were first enacted. Recognizing our experience, our Firm was special outside environmental counsel to the Long Island Power Authority (LIPA) for six years. With experience representing municipalities, real estate developers, large land owners, real estate operators and owners, as well as managers of large commercial real estate sites, Reisman Peirez Reisman & Capobianco is able to offer you its unique insight and exceptional service throughout your purchase, operation and sale of property in New York. Our attorneys draft and close complex lease agreements, and represent sellers and buyers in commercial real estate transactions, including, shopping centers, manufacturing facilities, office buildings. We also prepare and file applications for clients before Industrial Development Agencies to facilitate the financing of real estate projects.